George Crosby lies dying. He is an old man who retired and then became a clock repairman for 30 years. As he dies, he remembers the life of his father, who was a tinker—a traveling salesman of household items in the rural wilds of Maine—and an epileptic. In a way, of course, George also tinkers, with clocks. This novel’s writing is truly astounding. Harding has a way of examining ideas and objects down to the bone. At other times, musings seem almost hallucinogenic. I wasn’t sure I understood the point of view, though. If all of the novel is from the point of view of George, as most reviews of the book seem to imply, how does he know what happened to Howard, his father—or is he imagining a life for his father? To me, the novel seems to be about both men, in particular, about the circumstances that led to George being raised without his father. In the hard primitive life of backwoods Maine, George’s mother is resentful and cold. It is his father who is more considering and thoughtful, but a poor provider who might stop to weave pallets of grass instead of selling his goods. After a particularly bad epileptic attack, the only one witnessed by the Crosby children, George’s mother decides to have their father committed. This novel was difficult for me to read, because I was so interested in some aspects of the plot that I glanced over some of the gorgeous prose or couldn’t concentrate on it (not my usual approach). The prose is the point of this book, however, and the meditations it evokes. I believe this book is related to another book that also bought. I can’t remember if it is the sequel to the other book, or the other book is a sequel to it. I’ll be interested to see if reading both books enlightens me more. 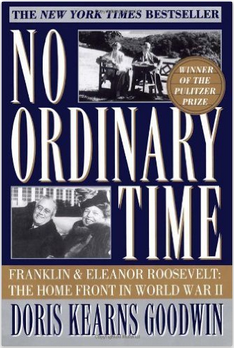 No Ordinary Time tells of the contributions of Franklin and Eleanor Roosevelt to the conduct of the United States before and during its participation in World War II. The book relates how Franklin Roosevelt exercised his acute political awareness of public opinion to nudge the U.S. out of isolationism during the war, foreseeing as he did how the world would be changed if Germany succeeded and how assisting England against the Axis powers allowed the U.S. to ramp up for war. While Roosevelt was concentrating on the war, Eleanor remained his social conscience, attempting to hold on to the social advances of the New Deal, taking up the causes of women and their right to work and of African-Americans and their right to equal treatment. The book also treats of the relationship between Franklin and Eleanor. Although they were always friends and companions, Eleanor had been devastated much earlier in their marriage to find out that Franklin had been having an affair with her own secretary, Lucy Mercer. This discovery ended certain aspects of their marital relationship. Eleanor’s relationship with her mother-in-law was difficult, too. In many ways, Eleanor was never at home in her own house. When she had to find a way to be of use as First Lady, since the traditional role of hostess didn’t suit her, she began to make a life for herself as Franklin’s eyes and ears around the country. So successful was she at this that when Franklin wanted to rekindle their relationship later in life and asked her to stay home more, she didn’t want to give up her active life. These were two remarkable people, although they had their faults. At times, Eleanor’s zeal for a cause made her oblivious to Franklin’s need at the end of the day for relaxation. She found it difficult to unbend, always wanting to be active. Franklin, although charming and seemingly affectionate, was occasionally selfish and seemed sometimes to have no care for people who had given him unstinting care and friendship. Reading this book made me feel as if I really knew these people, a feeling I seldom get from nonfiction. This is a fascinating story, sometimes thrilling, sometimes sad, about an important period in our history. 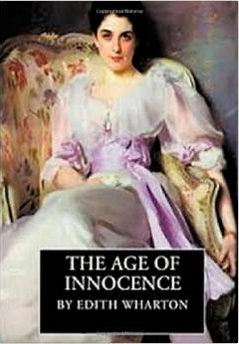 I have certainly read The Age of Innocence before, but it was not until this rereading that I gained a full appreciation for its subtlety and complexity. I may have read it years ago, but I became really interested in it after an interview with Martin Scorsese about his movie adaptation (my favorite film ever) where he commented on “the brutality under the manners” of the upper class New Yorkers in the novel, set in the 1870’s, and likened them to gangsters. This novel is about the tension between individual desires and the expectations of a rigid society. However, it is also about the two main characters trying to do the right thing in the face of yearning and passion. Newland Archer is an intellectually inclined young man interested in art and travel who thinks he understands but sometimes is a little impatient of the rigid and insular customs of his time and social class. He has just become engaged to May Welland during a difficult time for the Welland family. May’s cousin, the Countess Ellen Olenska, has returned to New York to her family, having left her husband, and society is shocked to see them bringing her to parties and the theatre. Archer decides to show solidarity with the Wellands and soon finds himself drawn into the Countess’ affairs in his professional capacity as a lawyer. Countess Olenska wants to divorce her husband, and the family is horrified, asking Newland to convince her not to. Newland succeeds, but he soon realizes that he is in love with Ellen Olenska himself. Ellen is determined not to betray her cousin. When she admits she loves Newland, she comments that by getting her to drop her divorce, he has assured that they can never be together. A disappointed Newland marries May. Within a short time, Newland regrets his marriage and foresees a gray existence of doing the same things with the same people year after year. The innocence and purity he saw in May is actually an incuriosity and inability to grow or change. Although Newland doesn’t see Ellen, who has moved to Washington, he has begun to think of her as the only real corner of his life. All these feelings are brought to a climax when the Countess returns to New York and her family decides she should reunite with her husband. She sang, of course “M’ama!” not “he loves me,” since an unalterable and unquestioned law of the musical world required that the German text of French operas sung by Swedish artists should be translated into Italian for the clearer understanding of English-speaking audiences. Nice! I understand that when this book was published, nearly 50 years after its setting, members of New York society were still able to match most of the characters in the novel with their real counterparts. 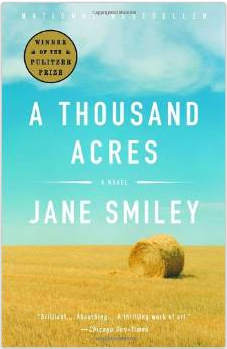 A Thousand Acres is a powerful novel set mostly in 1979 rural Iowa. It evokes a completely realized world that is complex and secret. Ginny Smith has lived on the family farm all her life. Her husband Ty farms alongside her father, Larry Cook, and she and Ty live on what used to be their neighbor’s property, which Larry has bought to make his thousand acres of land. Ginny’s sister Rose also lives on the farm, and her husband Pete works with Larry as well, a bit less comfortably. The women’s youngest sister Caroline is a lawyer in Des Moines. Ginny is proud of her family’s accomplishment in creating a fine, well-run farm out of the swampland her great-grandparents bought sight unseen. It soon becomes clear that the farm and the relationship to the land is the most important thing to her family—to all of the families in the area. At a local barbecue, Larry makes an unexpected announcement. He will create a corporation of the farm and hand it over to his three daughters. Ginny, who is mild-mannered, is taken aback and has doubts, but she does not say anything. Rose seems to be enthusiastic. Caroline simply says “I don’t know,” at which point, Larry petulantly cuts her out. When she tries to approach him later, he slams the door in her face. Harold Clark, another older farmer, has his prodigal son Jess return after an absence of many years. Almost immediately, he begins to favor Jess over his more loyal and hard-working son Loren. If this all is beginning to sound familiar, it should, for A Thousand Acres is a modern re-imagining of King Lear. This novel, however, turns the original on its head, for we see it from the point of view of the two “greedy” sisters. In fact, Smiley accomplishes a rather clever trick, because while the neighbors and townspeople see events occur that, from their points of view, seem parallel to those of the play, the readers of the novel are conscious of a whole new layer of information, about how two old men lie and exaggerate when they don’t get their way, and how family secrets fuel Ginny’s timidity and Rose’s rage. This novel presents complicated, flawed characters in a fully realized setting. It is really excellent and thought-provoking. 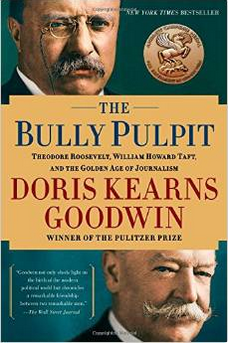 Noted historian Doris Kearns Goodwin approaches her subject of the relationship between Theodore Roosevelt and William Howard Taft from several insightful angles. Although her book examines their careers separately, it is focused on the differences in their personalities and approaches that finally led to the serious rift in their friendship of many years. This rift also led to Roosevelt’s third run for president, which split the Republican ticket. One of the major differences that Goodwin identifies is their relationships to and use of the press. The journalists particularly close to Roosevelt and involved in the fortunes of both presidents all worked for McClure’s magazine and make up an impressive list of names in journalism: Ida Tarbell, Ray Stannard Baker, William Allen White, and Lincoln Steffens. I wanted to read more by Goodwin after I read Team of Rivals, the great history of Lincoln’s career that inspired the movie Lincoln. Although I also have her book about FDR and Eleanor Roosevelt in my queue, I was interested in this one because I know only a little bit about Teddy Roosevelt and almost nothing about Taft, just the broad outlines of their careers. Without going into detail about the careers and personalities of either man, although I developed respect for both, after reading this book, I confess to having a lot of sympathy for Taft over their split. The fact is that Roosevelt regretted his decision not to run for a third term and so looked for excuses to find fault with Taft’s presidency. After Roosevelt’s return from Africa, he criticized Taft’s record of progressive legislation even though it was actually better than Roosevelt’s own. Taft later acknowledged that he wasn’t as good as Roosevelt in publicizing his accomplishments or explaining his policies to the press. This book is thoroughly interesting and revealing of the characters of both men. It is carefully researched, and it is also very well written. Although quite hefty at 750 pages, it moves along at a good pace and does not get bogged down with extraneous details. The Bridge of San Luis Rey is a moral fable that explores whether there is a purpose in life beyond that of a person’s own will. This theme is not one that interests me, nor do I usually enjoy fables, but I did enjoy Wilder’s rich characterizations in this short novel. 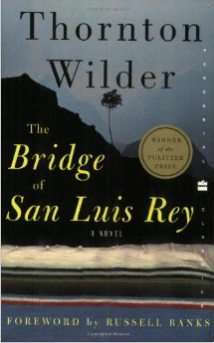 The novel begins in 1714 in Peru, when the bridge of San Luis Rey collapses, killing five people. A monk, Brother Juniper, believes that this event may be his opportunity for scientific proof of the will of God. So, for six years he collects information about the lives of each victim. What follows is a chapter about each of the lives of the victims, in all their humanness and contradictions. The Marquesa de Montemayor is an ugly, rich old woman who is despised by many for her eccentricity. 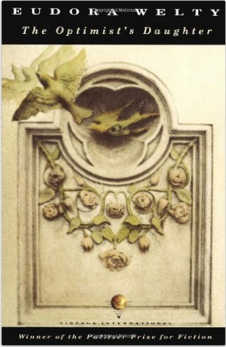 She obsessively loves her daughter, who has moved to Spain to get away from her, and she writes her rambling but marvelous letters that only her son-in-law reads. With her dies her young maid Pepita. Esteban is a twin whose brother Manuel recently died. Esteban and Manuel were inseparable until Manuel fell in love with the actress Perichole, who used him to write her love letters. Ever since Manuel’s death, Esteban has been inconsolable. Uncle Pio was a wanderer who eventually settled down to mentor Perichole, whom he raised from a young barroom singer to become a great actress. But Perichole begins to have ambitions beyond the theatre and eventually throws off Uncle Pio. Uncle Pio has devoted himself only to her, though, and promises to educate her son Jaime. This novel is beautifully written and touching in its acceptance of the foibles of humanity.